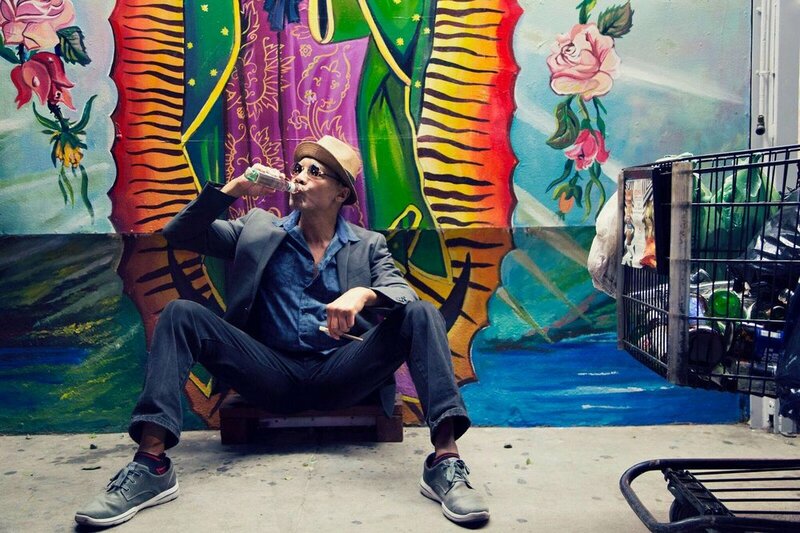 Primitive grace ENSEMBLE'S aim IS to SHIFT THE audience´s PARADIGM AND INFUSE IT WITH DUENDE. 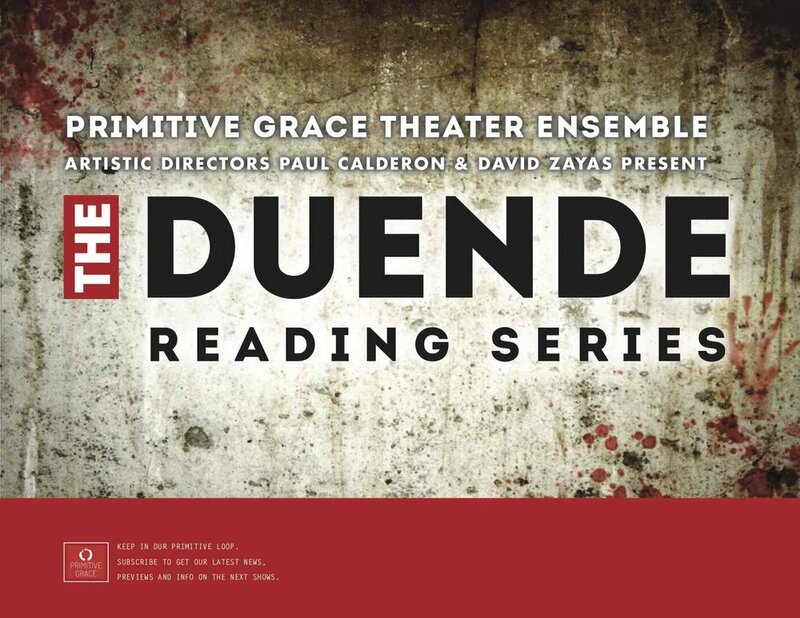 Primitive Grace is a New York City based Theater Ensemble producing original & established, classic & contemporary plays designed to create a shift in the audience´s paradigm of reality to allow Duende to take over. 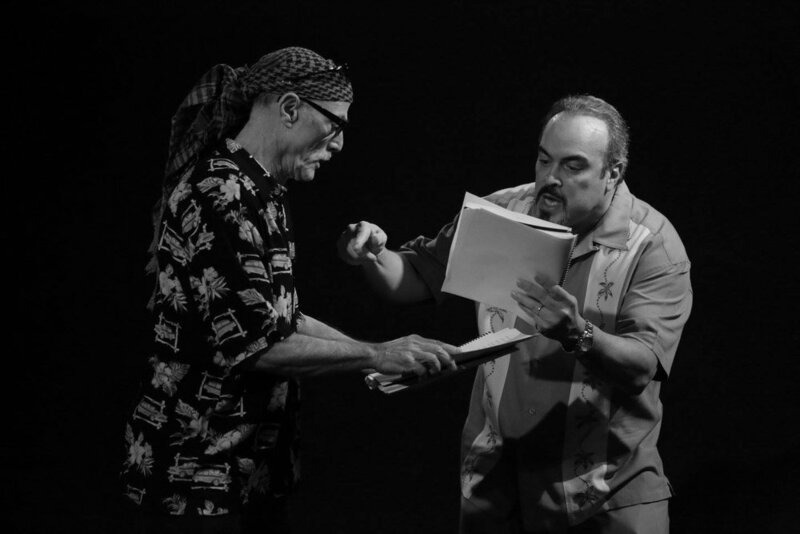 Primitive Grace's Co-Artistic Directors are Paul Calderon and David Zayas. 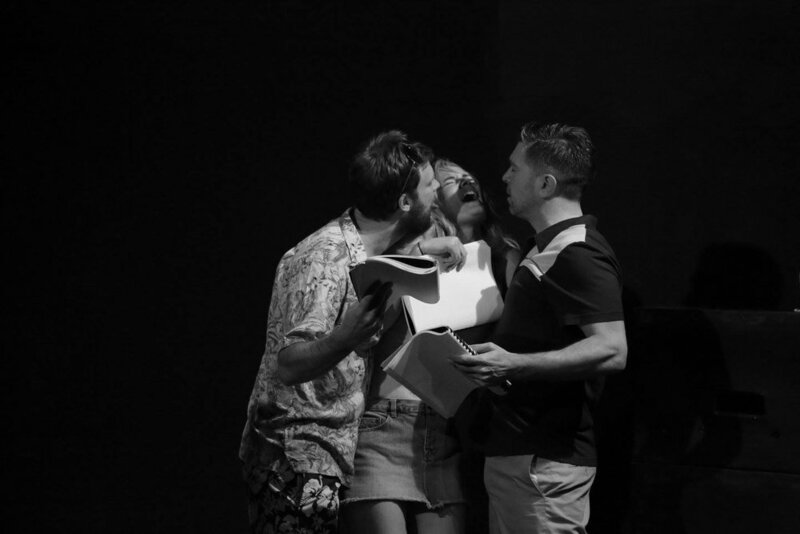 We draw on Federico Garcia Lorca´s concept of “DUENDE” to produce plays infused with a “PRIMITIVE GRACE”, in order to shift the audience´s paradigm so they will experience reality in a new, profound life altering way. (4) A DASH OF THE DIABOLICAL. DUENDE is an Earth Spirit that helps the artist see the limitations of intelligence, and brings the artist face-to-face with death, and assists him to create and communicate memorable, spine-chilling art. DUENDE seizes not only the performer but also the audience. It creates conditions where art can be understood spontaneously with little conscious effort. It is in Lorca´s words, , "a sort of corkscrew that can infuse art into the sensibility of an audience. It is the most dynamic gift that can be offered to the "intellectual." A performance infused with DUENDE dilates the mind´s eye, so that the intensity becomes almost unendurable. There is a quality of reality so heightened and exaggerated that it becomes unreal. According to Lorca DUENDE is a power, not a work. It is a struggle, not a thought. It is an ancestral energy that is dark and appealing and that is able to elevate the common to the magical. GO PRIMITIVE AND DISCOVER YOUR OWN DUENDE. COME SEE WHAT WE’RE ALL ABOUT! 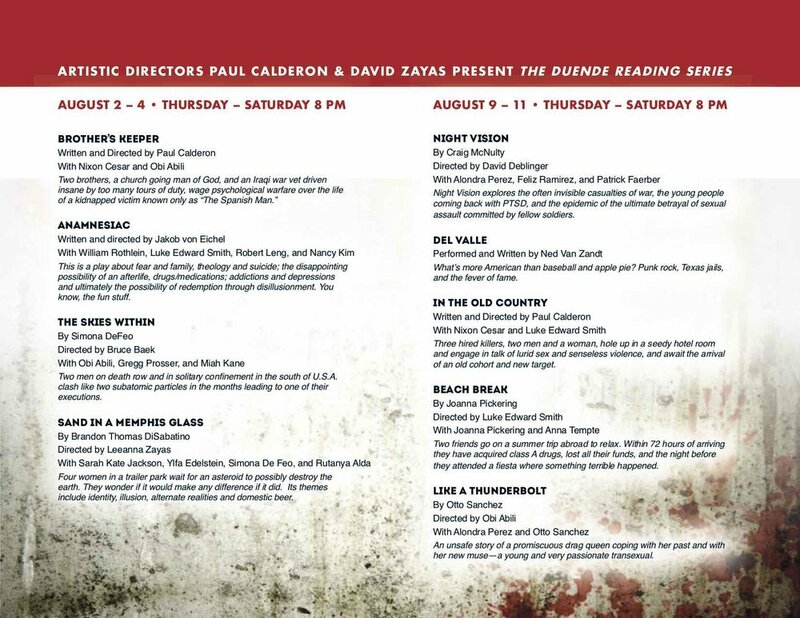 The world premiere of a new play from Primitive Grace Ensemble, written & directed by Paul Calderon (Obie & Audelco Award winner "Blade to the Heat"). SYNOPSIS: In the ghettos of Baton Rouge, Louisiana Cornbread, an African-American Iraqi War veteran suffering from PTSD, holds hostage a man who he has mistaken for an Arab, threatening to crucify him in retaliation for the horrors he experienced in the war. Cornbread's ex-wife Yolanda (frayed to her own breaking point by the stress of being the lone support to their interracial teenage daughter and son) stumbles upon the plot. She tries to enlist the aid of Cornbread's stable, church-going brother Jim-Bo, also an Iraqi War Vet. At first unwilling to help Yolanda with another of Cornbread's "craziness" Jim-Bo finally succumbs to her pleas when she discloses that Cornbread has several assault rifles and hand guns with which he promises to "rain fire and fury on one and all" after he's done crucifying his "Arab." As Jim-Bo ventures forth to save the man from Cornbread and Cornbread from himself, he's confronted by a heart of darkness that reaches back generations and now threatens his sanity. "In the rundown Caballeros Divinos social club in Spanish Harlem a petty criminal, a down-and-out dreamer and a washed up ex-major league baseball player lay out an outrageous scheme to get rich quick. When their plan comes to fruition, greed and individual conflicts and desires lead them all to a tragic end." 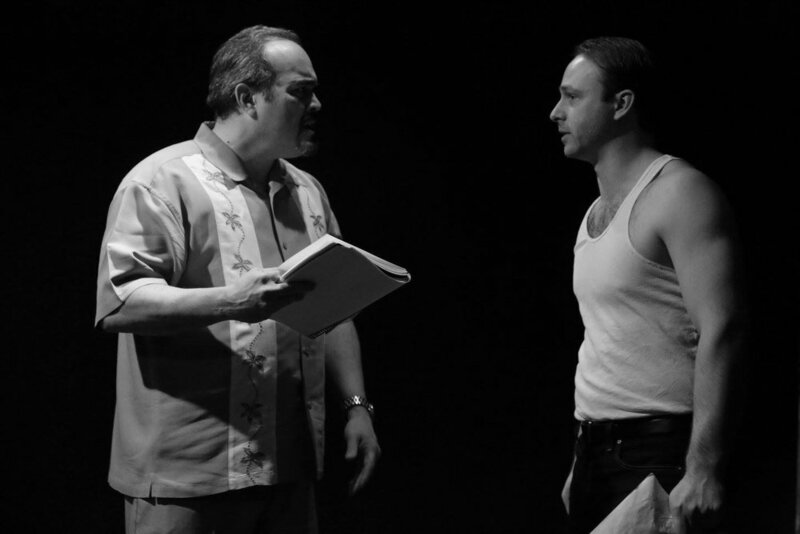 Jojo/The Kid- Sebastian Mitre "Baz"
(First seen in a LAByrinth workshop production 22 years ago featuring David Zayas, Paul Calderon, John Ortiz, Johnny Sanchez & Philip Seymour Hoffman). This is be the world premier of a full production by Primitive Grace Ensemble in co-production with Access Theater. 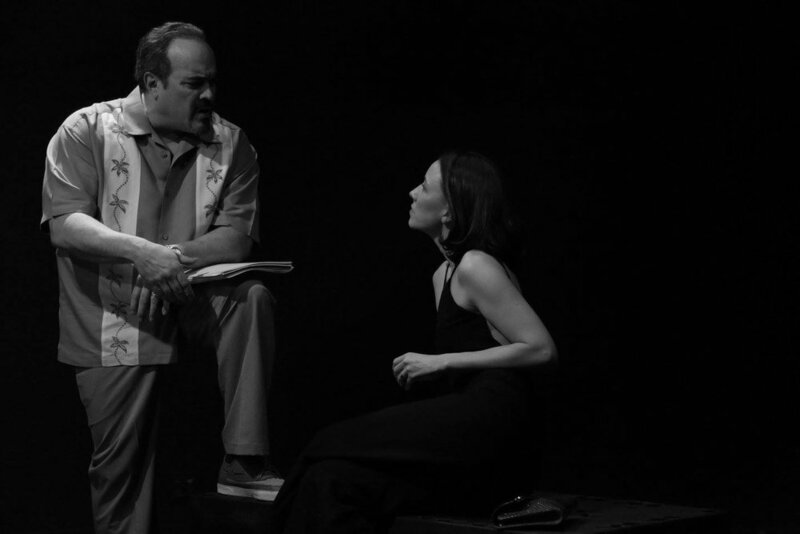 This production is dedicated to the memory of Philip Seymour Hoffman who originated the role of Raffi in the workshop production by LAByrinth Theater Company. WHERE: Access Theater NYC @ 380 Broadway. Click MAP for directions. 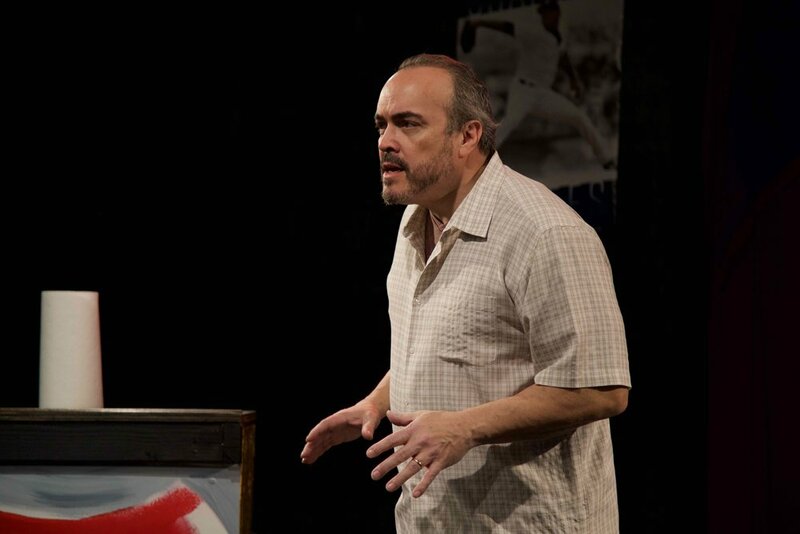 “Calderon’s staging possesses a thoughtfully constructed sense of unease that undeniably provokes urgency... the tension is beautifully rendered: We never know what these guys are capable of, and they fascinatingly come across as dumb-asses whose true talents are for violence and mayhem. 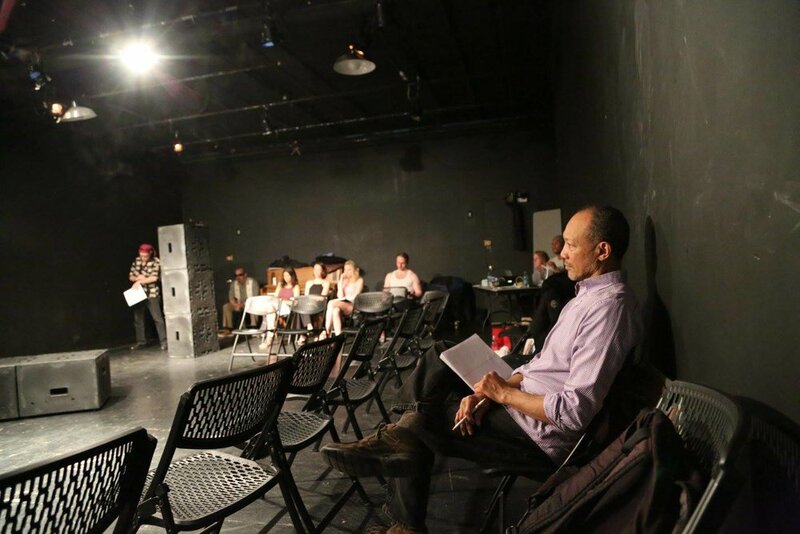 Primitive Grace's first full production will be Fringe of Humanity; written and directed by Paul Calderon, premiered January, 2017 at Access Theater in NYC. In the capital city of a lawless Third World country, a film director, in recovery from heroin addiction; a PTSD addled cinematographer; a washed-up movie star; a megalomaniacal producer and his ex-starlet wife; and the rest of the motley crew gather in a hotel suite to put the finishing touches on a script scheduled to start principal photography in a few days. Plans spin out of control as conflicts erupt. Then the violence of the city penetrates into the hotel suite and puts everyone’s humanity into question. Fringe of Humanity is a deliciously unhinged freight train barreling down a track that is about to run out of sleepers. You hold on like a demented teenager being thrown around a fourth dimension “X” thrill ride as you corkscrew into uncharted territory. It’s an adrenaline-fueled feast. Paul Calderon has written, directed, and stars in this razor sharp look into the world of out of control pre-production film chaos. It’s funny and bleak and tortured and true. The action takes place in a hotel room in the capital city of a third world country. Nick Valdez, a recovering heroin addict, is on edge as he tries to multi-task reworking a terrible B-grade film script and attempting to get on top of all of the mountainous admin related to pre-production, all the while trying to keep the cast and crew focused. One of his stars, Ryan, is missing and Steve, the assistant director, is anxious to hit the streets to find him. Ken “Patch” Kelly, the PTSD-addled cinematographer arrives to location scout. He is one sandwich short of a picnic and hurtles easily towards violence when things don’t go his way. Ross Gausmann, the megalomaniacal producer, is about to breeze in with two starlets he has been “auditioning,” and Nick wants to make sure all of his ducks are in a row. Ross has just gotten married to an ex-starlet, Liz, the day before and already there are cracks showing. Thrown into the mix is the big name British actor Pierce, whose pompous, egotistical, self-absorption makes Nick want to spontaneously combust. And the circus begins. The mayhem of the movie is set against the backdrop of the volatile; potentially violent turmoil of the country they are visiting. Calderon’s writing is energetic and virile. It’s foul-mouthed and quite brilliant. He brings out all of the worst parts of human nature when one is cornered, under pressure, or in the throes of an unrestrained power trip. He has expertly drawn the characters and they are recognizable in all of their human fragility and devolving dramas. As a director, he incites a relentless pace that keeps you glued to the unfolding madness. He places the audience in the middle of the action, and you feel part of every derailment. 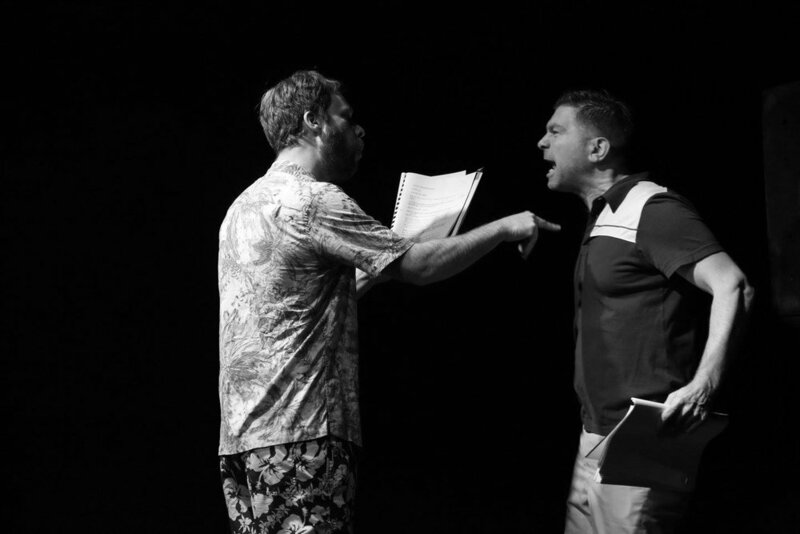 You feel like you need a beta blocker or rescue remedy at the end of the play as your heart races along with the rising tide and shocking climax crisis, as if it was your own story. As Nick Valdez, Calderon is caramel-coated bourbon – ideal for sipping neat. 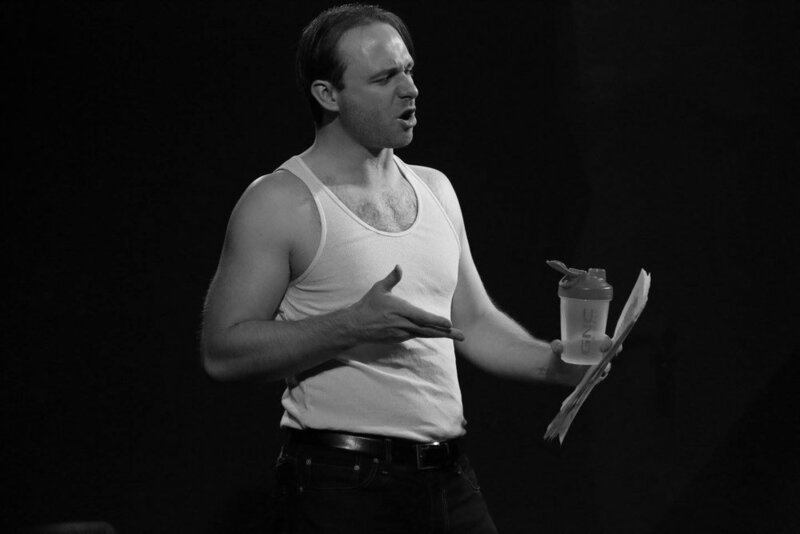 He brings a nuanced, delicious performance to the stage with his mature, experienced demeanor. He is the anchor trying to contain all of the explosive elements and he does this with a smooth hand. As Valdez, he is grappling with his inner demons, as well as the ones invading his hotel room. The struggles warring inside of him were played expertly. William Rothlein as Kelly is hilarious and intense. He played Kelly on the verge of snapping point with the skill of a chainsaw juggler. You were never sure of what he might do next and that danger was palpable and great to witness. Rebecca Nyahay as Liz, the “aging” starlet, delivered a wonderful character journey from blushing bride to hysterical victim. She was a sensual, purring tiger and then a feral street cat. She explodes with a 100 percent conviction and delivers a powerful performance. Jacob Von Eichel as Steve has very funny bones. I loved his downtrodden, irritating persona that would warp into a grand diva demon at the end. He was exceptional in the support cast role, feeding the scenes energy and focus. Alex Emanuel as Ryan was charming as the forlorn actor in the position of continuously losing his role. His panic attack styled earnestness was really endearing, and you wished for a better outcome for his character who is working so hard to please everyone. He formed a fabulous double act with “Steve” as they provided some of the comedic moments. Luke Smith as Pierce played the stupid “star” with the right dose of ugly “me, me, me” obsession and needy child desperation. Feliz Ramirez as Crissy and Jessica Samouni as Vicky were stunning in the roles of the young ingénues desperate for a break at any cost. Their “audition” scene had me rocking in my seat. 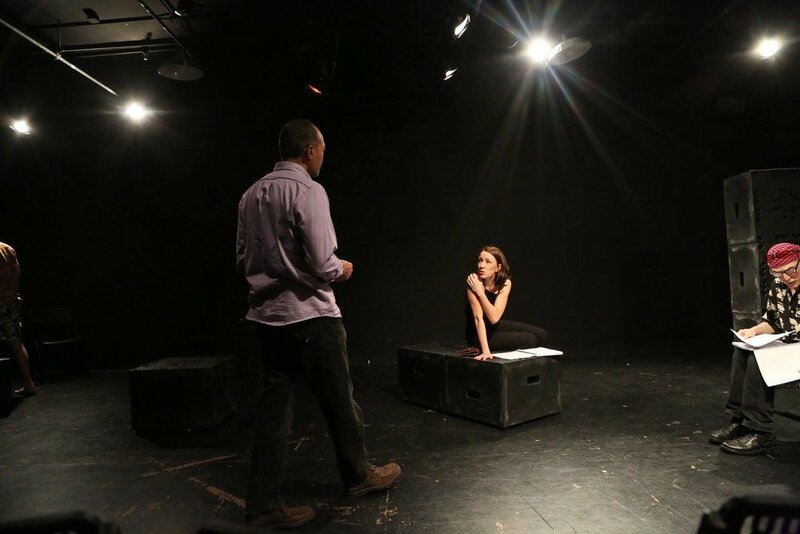 It’s a strong cast in a potent play produced by Primitive Grace and Access Theatre. This could be a long running series, because I wanted to see what happened on all of the previous films they’d done together and their apocalyptic fallout on each one. Our Co-founders in an awesome interview on BK Live TV. Check it out! 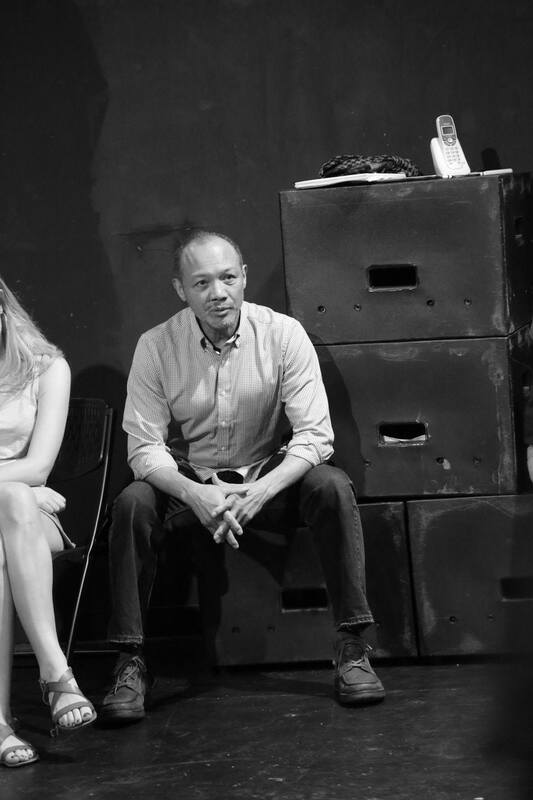 Primitive Grace's second MainStage production, QUOTIDIAN is written and performed by the ensemble cast and directed by Bruce Baek premiering May 19-21 @ 8pm and 3pm on the 21st at Alchemical Laboratory Theatre in NYC. 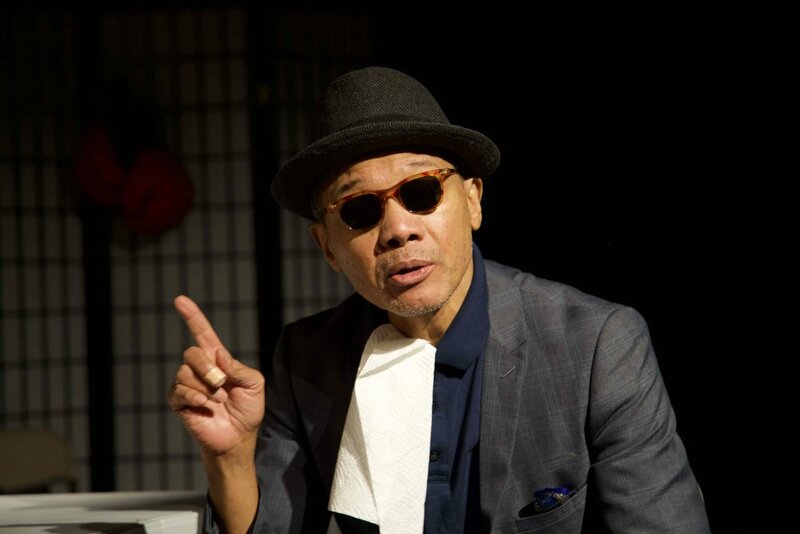 Creator and director Bruce Baek developed Quotidian to illustrate the psychological warfare between the passing of time and identity. 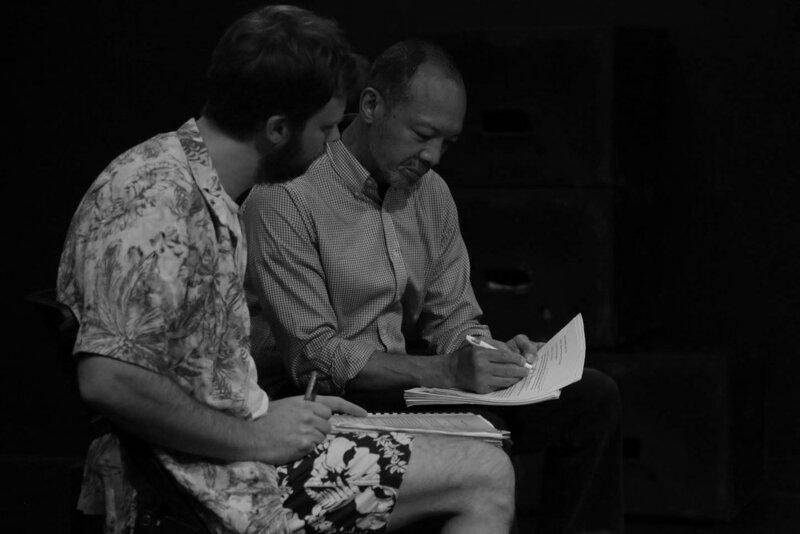 Through 12 original stories, interwoven with sight and soundscapes, and crafted by the ensemble about some of the most defining and pivotal moments of their lives, Quotidian invites the audience to examine their own lives with simple questions - How do you define your identity? How is your present influenced by your past? How are you cultivating your soul to step into a better tomorrow? Whether its the past, present or future, the stories presented have occurred, are occurring and will occur, everyday... they are Quotidian. PRIMITIVE GRACE @ ACCESS THEATER RESIDENCY!!! 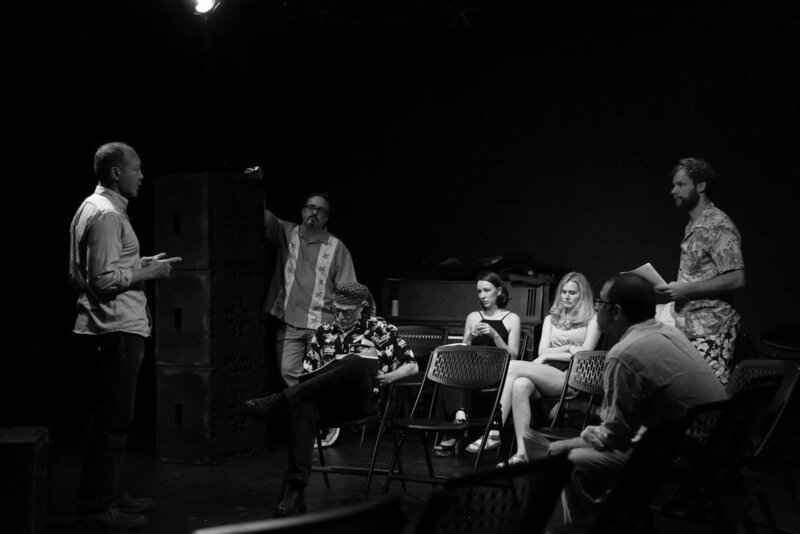 Primitive Grace's Theater Ensemble has been granted a One Year Artistic Residency at Access Theater which will begin in February 2017. KEEP IN OUR PRIMITIVE LOOP. SUBSCRIBE TO GET OUR LATEST NEWS, PREVIEWS AND INFO ON THE NEXT SHOWS. 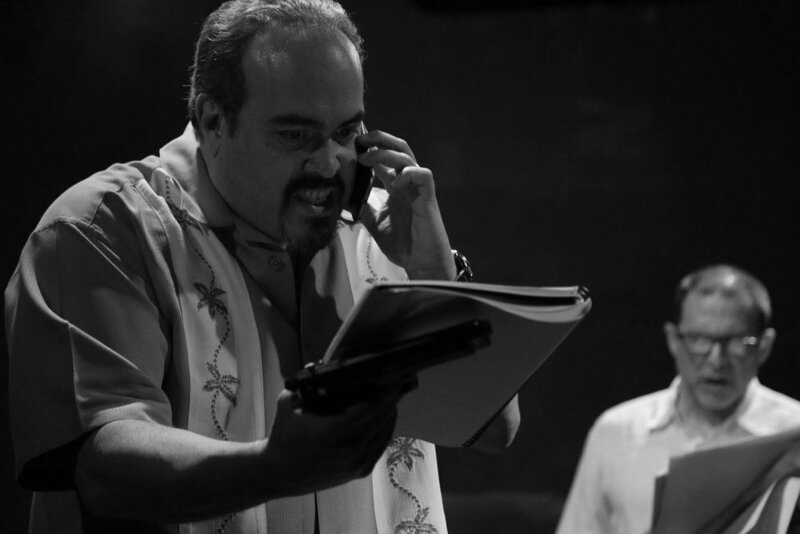 * B & W photography courtesy of David Zayas Jr. 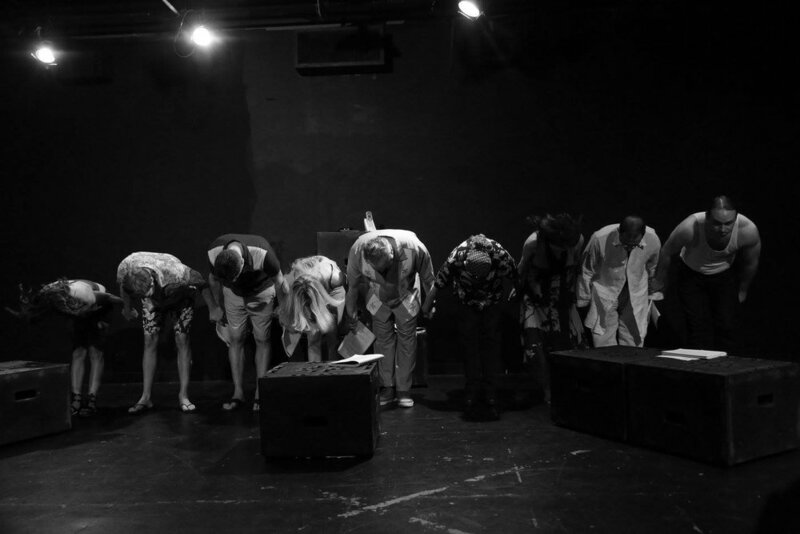 Primitive Grace Theatre Ensemble is just starting out and has a tremendous need for your support. Online donations will go directly into our first full production of "Fringe of Humanity". We will keep you posted about our fundraising efforts through special events, parties, and sponsorships. *Donations to our theatre ensemble at the moment are not tax deductible. As soon as this changes, we will keep you posted.